The plaintiff in a negligence case generally must prove all four elements of negligence. In some rare cases, however, a Washington personal injury defendant may not have to prove the negligence elements based on the doctrine of res ipsa loquitur. Res ipsa loquitur is a doctrine that allows plaintiffs to succeed on a negligence claim without proving a specific act of negligence in certain circumstances. The plaintiff must show that the accident that resulted in the injury is a type that does not ordinarily occur absent negligence, that the injury was caused by something within the defendants’ exclusive control, and that the plaintiff did not contribute to the accident. A plaintiff recently argued res ipsa loquitur applied to his fall from a ladder. A friend asked the plaintiff to help him attach trim to the soffit of an outbuilding on some property he co-owned. The friend had set up two stepladders. The friend held the ladder as the plaintiff ascended it. The plaintiff had not asked him to do so and did not expect him to continue to hold it. The plaintiff stated the ladder felt steady, but the next thing he remembers is being on the ground with blurry vision. He did not know if the ladder broke or just fell. He did not see it after he fell. The plaintiff sustained a punctured lung, torn spleen, and other injuries. The friend later told the plaintiff he did not know what happened. He turned his back and the next thing he knew, the plaintiff was on the ground. The Department of Corrections (DOC) has a duty to supervise offenders who are released on supervised probation. The DOC is generally not liable for Washington personal injuries caused by a probationer, unless it acts with gross negligence in supervising him or her. To show gross negligence, a plaintiff must show that the DOC substantially breached its duties and acted without even slight care. The Washington Supreme Court recently considered whether the DOC was liable for the murder of a woman by a man on probation. According to the Court’s opinion, the probationer received a suspended sentence in 2010 for misdemeanor violation of a court order that prohibited him from contacting the victim, on the condition he serve 180 days in jail and 24 months’ probation. He physically assaulted and threatened to kill the victim in 2011, resulting in a guilty plea to misdemeanor assault and felony harassment. This sentence also included 24 months of probation. The court ordered a number of conditions, including prohibiting contact with the victim. When parents send their children to school, they expect the school to supervise and care for the children. They do not anticipate a child being seriously injured at school. Parents may think the school has a heightened duty of care toward the students in its care, but that may not be the case, as recently found by the Washington Supreme Court. According to the Court’s opinion, the plaintiff was injured in her high school woodshop class while using a radial table saw. She had been using a push stick to guide a board through the saw, but the board got stuck and she tried to dislodge it with her hand. Her thumb was severely cut, ultimately resulting in a partial amputation. The teacher was supervising students outside the room and could not see the table saw when the plaintiff was injured. The teacher testified how he trained the students to use the table saw. He showed the students how to cut, and required them to make cuts under his supervision until they did it correctly. The students were required to take a written test. They were also required to make about 40 to 80 cuts under the teacher’s supervision. The plaintiff had made at least 60 cuts under the teacher’s supervision before being allowed to use the saw independently. Sometimes an accident victim does not know the exact cause of the accident. They may not have seen what happened, or in some cases, the injuries may cause a loss of memory. A lack of memory can make a case very difficult, but Washington personal injury attorneys know that the difficulty may be overcome if there is other evidence showing the defendant’s liability. A lack of memory was at issue in a recent case. The plaintiff suffered a head injury after falling while leaving a store. She filed suit against the tenant and the landlord of the store for failing to maintain safe premises. The trial court granted summary judgment in favor of the defendants, and the plaintiff appealed. The plaintiff could not remember what caused her to lose her footing. The appeals court viewed the evidence in favor of the plaintiff. According to the record, there were three concrete steps, measuring 76 inches across the top step. There was a 37-inch wide plywood ramp over the stairs for wheelchair use. The ramp had a raised edge on either side, about an inch wide and two inches high. There were no handrails. Property owners may be liable for injuries that result from a dangerous condition on their property. The duty a property owner owes to a person on his or her property regarding a dangerous condition of the property often turns on the status of the injured person. A landowner has different obligations to business invitees, licensees, and trespassers. A Washington appeals court recently considered whether a landowner can be liable in a Washington premises liability case if the dangerous condition is actually on someone else’s property. According to the appeals court’s opinion, an eight-year-old girl drowned while camping as part of a youth group. The landowner allowed the group to camp on the property for free for several years. The property was near a lake, and four counselors took 15 children swimming at a cove on the lake. To get to the cove, the group walked from the campsite across property owned by the federal government. The appeals court described the victim as a “non-swimmer.” According to the opinion, the counselors lost track of her while caring for another child. A search and rescue team found her body the next day. 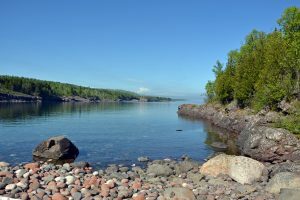 The victim’s estate sued the landowners, alleging they had a duty to warn the child about the dangerous conditions in the cove. The trial court granted summary judgment in favor of the defendants, finding they did not have a duty to warn about conditions on property they did not own. The estate appealed. A defendant in a Washington personal injury case may try to limit damages by alleging the plaintiff failed to mitigate damages. A defendant seeking a failure to mitigate jury instruction must show that the plaintiff acted unreasonably in deciding on treatment when there were alternative options. The defendant must show through expert testimony that the alternative treatment would more likely than not improve the plaintiff’s condition. 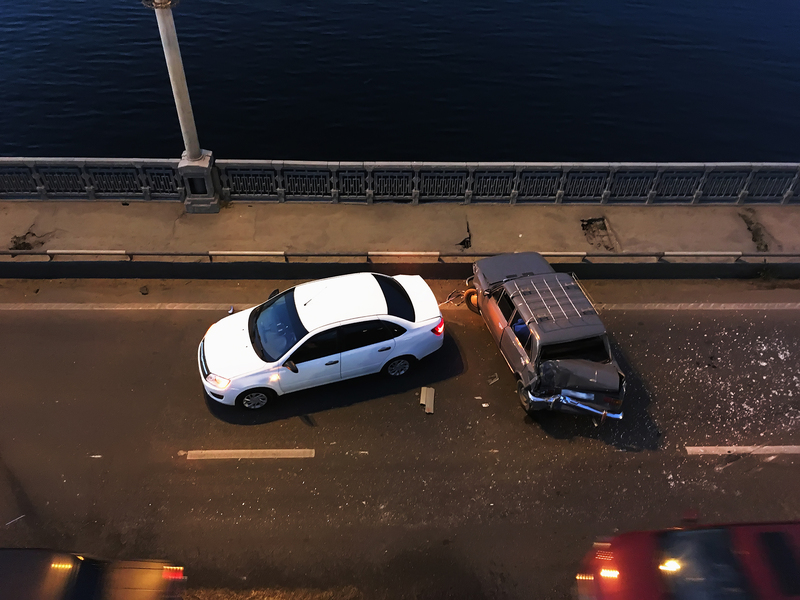 A defendant recently challenged a court’s decision not to instruct the jury on failure to mitigate in an automobile collision case. According to the appeal court’s opinion, the defendant rear-ended the plaintiff’s vehicle. The plaintiff went to a chiropractor who found she had a ligament injury as a result of the accident. The chiropractor also found the injury was permanent. The plaintiff filed suit and the defendant admitted liability, leaving only damages at issue for trial. According to the opinion, the plaintiff worked as a licensed practical nurse. She testified she had talked with her colleagues about her treatment options. She did not want to take medications that would interfere with her work, or to have surgery or injections. She testified the chiropractic treatments helped manage her pain. She also testified that immobilization was no longer recommended and that no one she talked to recommended it to her. 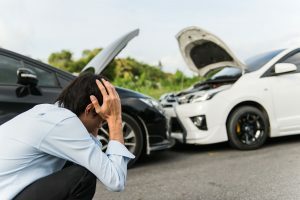 An employer may be held vicariously liable for the negligence of its employees in a Washington automobile accident case when the employees are acting within the scope of their employment. An employee is acting within the scope of employment when engaged in the performance of duties required or directed by the employer or engaged in the furtherance of the employer’s interest. An employee is not acting within the scope of employment when engaged in conduct involving a personal objective that is not related to the employer’s business. The issue of vicarious liability was recently before a Washington appeals court. The defendant driver failed to stop in time to avoid rear-ending the plaintiff’s stopped vehicle. The defendant driver works as a regional manager for the defendant employer. He works from his home and frequently travels for his job. The defendant employer provides him with a monthly vehicle allowance for the cost of his vehicle and insurance. The defendant employer also reimburses 80% of his vehicle maintenance and operation expenses. The defendant driver did not tell his employer about the accident. The plaintiffs sued the defendant driver and he admitted liability for the accident. The defendant employer was subsequently added to the lawsuit, and the plaintiffs ultimately added a vicarious liability claim against it. The defendant driver testified in his deposition that he was driving home after working at the time of the accident. When a person is killed due to someone else’s negligence, their loved ones may be able to pursue Washington wrongful death and survivorship claims. Survivorship claims and wrongful death claims are similar, but not identical. A Washington appeals court recently considered whether a judgment in a survivorship claim precluded a wrongful death action. The deceased sued several defendants after she was diagnosed with mesothelioma. She settled with all but one of the defendants during trial, releasing all claims arising out of her personal injury claim and any future wrongful death claim. The remaining claim was converted to a survivorship claim after she died during trial. The jury returned a verdict in favor of the estate, but the court reduced it on a motion from the defendant. The court also allocated 20% of the settlement proceeds to future wrongful death claims. The court also reduced the judgment by 80% to offset the proceeds from the settling defendants. Both parties appealed and the appeals court affirmed the verdict, but reversed the reduction. The estate filed a wrongful death action against several defendants. The trial court dismissed, finding the claims had been extinguished by the judgment in the survivorship case. The estate appealed, arguing a wrongful death claim is a new and distinct cause of action. Personal injury cases often hinge on why and how the injury occurred. 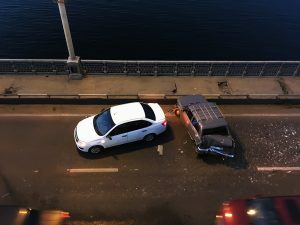 Although the victim and other eyewitnesses can testify to what happened, Washington personal injury attorneys know that an expert is often needed to explain how and why the incident happened. An expert may only testify within the area of his or her qualifications, however. Furthermore, the expert’s opinions must have an adequate foundation. The court has discretion in determining whether an expert may testify. A Washington appeals court recently considered whether an expert was qualified in the area of his opinions and whether he laid an adequate foundation for those opinions. The plaintiff was injured when the chair in which he was sitting on the deck of the defendant pizza restaurant broke where the arm attached to the seat. The assistant manager on duty at the time examined the arms to ensure they were stable when setting up the deck. He had only identified two chairs as being unacceptable in the past 11 years. He was not aware of any other incidents when chairs at the restaurant broke. Many escalators are used each day, and they generally function as expected. They require appropriate maintenance and service to do so, however. When they are riding an escalator, people can be seriously injured. Washington premises liability attorneys know that an owner that fails to properly maintain escalator equipment may be liable for the resulting injuries. In fact, in Washington, the owner or operator of an escalator has the heightened duty of care of a common carrier. A Washington appeals court recently considered a case in which the court dismissed a personal injury case involving an escalator. The plaintiffs were injured when an escalator step jammed. The escalator was in a mall and right outside a department store. Witnesses stated they heard a screeching noise. The steps then began piling up, and the escalator collapsed on itself. The escalator’s fail-safe mechanisms did not activate to stop the escalator. The plaintiffs sued the department store owner and the owners of the mall and escalator. The department store contracted with an elevator maintenance company for service and maintenance of the escalator.